Why is emotional intelligence important for children, families, and educators? 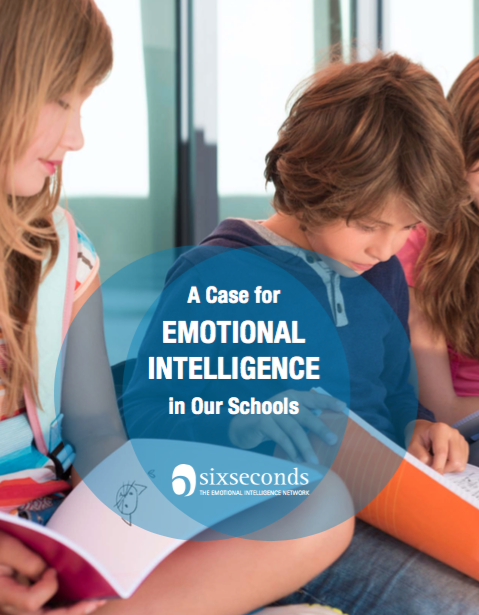 A Case for Emotional Intelligence in Our Schools is a free eBook summarizing research on emotional intelligence improving learning, behavior, relationships, health, and wellbeing. The executive summary is available here, or you can download the full ebook free by filling in the form below. When teachers develop their own EQ skills, they may experience renewed energy and a sense of purpose, as they re-discover the power and joy of connecting to students and to each other in a learning community. As educators commit to SEL in their schools, students will be able to re-engage, to find a place in school where they can feel safe in their relationships, ready to learn, and challenged to succeed. An SEL initiative will allow administrators to hone powerful leadership skills and use these skills to nurture all stakeholders. It will allow administrators to craft schools and communities that support the development of caring, compassionate, motivated and successful individuals, friends, family members, and engaged citizens of the world (Patti, Senge, Madrazo, & Stern, 2015).